Bentonite based drilling fluids are used in both vertical and horizontal drilling. The desirable drilling fluid properties, however, are different. A drilling fluid property that is desirable in vertical drilling may be detrimental or used differently in HDD. Viscosity is the measurement of the thickness of a fluid. It is measured with a Marsh Viscosity Funnel and is reported in seconds per quart. Viscosity measurements are important in HDD but are important for different reasons than in vertical drilling. Gel strength is the measurement of the suspension properties of a drilling fluid. Gel strength is measured with a rheometer or shearometer and is reported in pounds per 100 square feet. Gel strength is of the utmost importance, especially in coarse-grained soils (sand, gravel and rock). Filtration control and filter cake, while being marriage partners (you can’t have one without the other) can be seen as two separate properties. In sand, for example, the filter cake quality is of extreme importance. In sand situations, the filter cake is the sealant, grout or stabilizing property of the fluid that maintains the integrity of the borehole. Fluid density is not a concern as it is in vertical drilling when related to hydrostatic head. In HDD, the density is used to measure the solids content of the fluid or slurry. A formula is used to convert the density of the fluid or slurry to solids content. Sand content determines the amount of sand that is in the fluid or slurry. This is not to be confused with total solids content. pH is an indicator of water quality and is used the same as we should be using to test water quality in all drilling practices. Low pH also indicates the possible presence of calcium. It is important to remember that, although we are using much the same materials in both vertical drilling and HDD, we have different needs as far as fluid properties are concerned. These properties are adjustable. Let’s adjust them to be beneficial rather than detrimental. drilling fluid compound, following is the methods of drilling fluid compound. favour of improve drilling speed. 3. Polymer treatment agents has the strong function of peridium and inhibition of dispersion. The methods of improving drilling fluid shearing. 1. Improve the solid content in drilling fluid. 2. Improve clay particle dispersion. 4. Add the water-soluble polymer compounds. The methods of improving drilling fluid viscosity. 1. Improve solid phase particles. 2. Partial mesh structure is formed between solid particles. 3. Improve the solid dispersion. The methods of reduce drilling fluid density. drilling fluid solid phase content and decrease density. 2. Add water to dilute. 3. Add a certain amount of foaming agent. 4. Using chemical flocculant to make parts solid particles coalescence precipitation and reduce the density. Drilling fluid is circulated fluid used in drilling process and a mixture of liquid, solid and chemical treatment agent. Dilling fluid is commonly known as “mud” and also known as the blood of drilling, it shows how extraordinary its importance is. In order to economically and effectively remove harmful solid phase from the drilling fluid, it’s better to understand the composition and properties of drilling fluid solid phase and its influence to drilling. The solid matters in drilling mainly refers to the slurry clay, weighting material, cuttings and some other solid material. The solid matters in the drilling fluid divided by source are slurry clay, cuttings, weighting material and solid phase in the processing agent, etc. According to their mode of action in water and water ion, low density solid phase can be further divided into active and inert solid phase. Active solid phases: refers to solid phase which is easy to hydrate or react with other liquid phase. This kind of solid phase has high surface activity and high specific surface area, the electrochemical nature is lively. This kind of solid phase has the role of adjusting drilling fluid performance, so it is also called the useful solids. Inert solid phases: refers to solid phases which have no changes with surrounding environment, no surface electric charge, A mixture of sand, including flint, limestone, dolomite, shale and some many minerals. They gathered together, compressed activated solid, coalescence of the viscosity, caused by drilling fluid property change. This kind of solid phase is of no use in the drilling fluid, so it is also called the useless solid. Particle size of useless solid greater than 15 μ m, abrasive effect on circulation device, so it is also called the harmful solid. Drilling cuttings is the main harmful solid phase in drilling fluid, during the drilling process, it will affect the physical properties of drilling fluid, increase the density, viscosity, dynamic shear force, water loss, mud cake, abrasive, viscosity and flow resistance. In the process of drilling, drilling cuttings will damage the oil and gas reservoir, reduce the drilling speed, increase rotary torque, result in sticking and blocking drill, cause well leakage, blowout and other complex downhole situations. At the same time, drilling cuttings in the drilling fluid will cause serious wear on the circulation system. Drilling deeper, longer and more challenging wells has been made possible by improvements in drilling technologies, including more efficient and effective drilling fluids. Drilling fluids, also referred to as drilling mud, are added to the wellbore to facilitate the drilling process by suspending cuttings, controlling pressure, stabilizing exposed rock, providing buoyancy, and cooling and lubricating. Drilling mud is circulating fluid during complete well drilling. It is mixed with fluid, solid and chemical. In past long period, we used to call drilling fluid as “slurry”. Actually it’s not exactly right. The solid particle in the drilling mud can be divided into harmful solid and useful solid two parts. Using drilling mud protects the stability of a borehole by controlling variables such as friction and pressure. 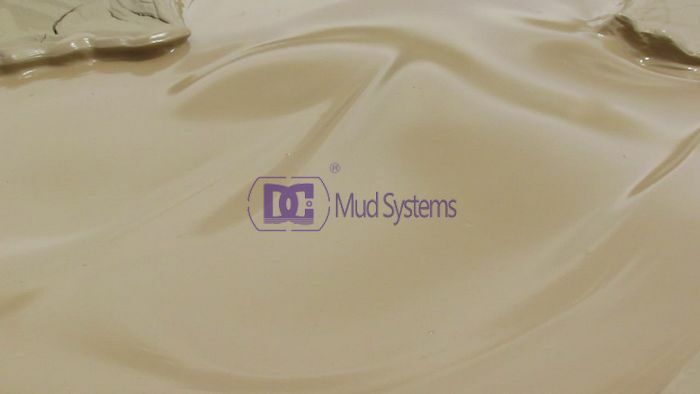 Different mud are needed for different circumstances, and the selection and formulation of mud is managed by a mud engineer. This engineer determines the correct viscosity level for the drilling mud, and adjusts factors such as density of the mud as well. Water, oil, and gas-based mud can all be used, with products ranging from true mud made with materials like bentonite clays to synthetic drilling fluid. Bring drilling cuttings out to clean well bottom. Decrease abrasion enhance efficiency. Balance well wall pressure. Avoid pollution to oil and gas layer. Control ground pressure to prevent blow out and keep drilling fluid out of pollution. Cool down and lubricate drilling bits and pipe. Increase their usable life. Make drilling cuttings suspend avoid sticking of tool. Share partial weight of drilling pipe decrease lifting system load. Transfer hydraulic power efficiently for drilling tools. Supply information for drilled site to well logging get detail data in the pit. Drilling fluid hydraulic power to break down stones. The drilling fluids system is also called drilling mud system. For oil drilling, the main function is solids control or separate out drilling cuttings, mix drilling fluid, storage clean mud. Finally make drilling fluid circulated. After system finish purification work the drilling fluid will be cleaned and used circularly. As per well drilling deeper and deeper the drilling fluid will correspondingly change property.